When you think of your average rock star, you probably picture him living in a multi-million dollar mansion, surrounded by luxury items galore. 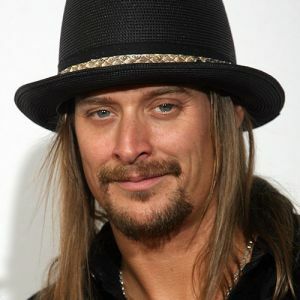 But rather than be bothered with flashy art work, a one-of-a-kind wine cellar or a pricey infinity pool, Kid Rock prefers to keep it really simple. The multi-platinum artist, who's sold more than 26 million albums across the globe, hangs his cowboy hat inside a double wide trailer he placed on 102 acres he owns outside of Nashville. He says that he doesn't require a lot and downsizing over the years has made him more happy. He loved that idea that once he ordered his new home, it came delivered to the door in 2 weeks. You can customize a few things as you go along, and put a nice wrap on it. Simplicity at its finest.